Most skiers are more familiar with the well known villages of Tignes le Lac and Tignes Val Caret, the functional high altitude villages with what can only be kindly described as ‘contemporary’ architecture. However, there’s a hidden treasure in Tignes that far less people know about, the unspoilt village of Tignes Les Brevieres. 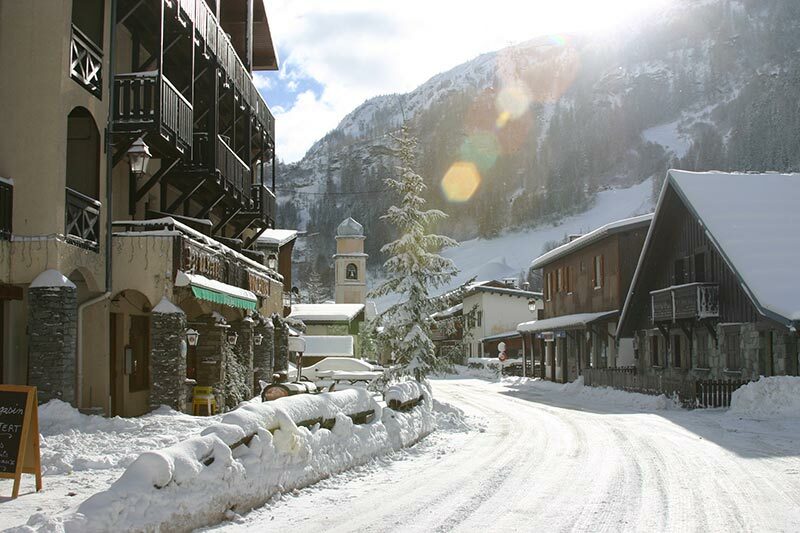 Les Brevieres is the most charming and authentic location, offers you a full range of skiing facilities, shops and bars, but unlike most ski resorts, has been left untouched by large-scale modern development and still retains its original village character and charm. Connections to the rest of the Espace Killy are fast via the Sache telecabine then a chair. History of Les Brevieres Village…. 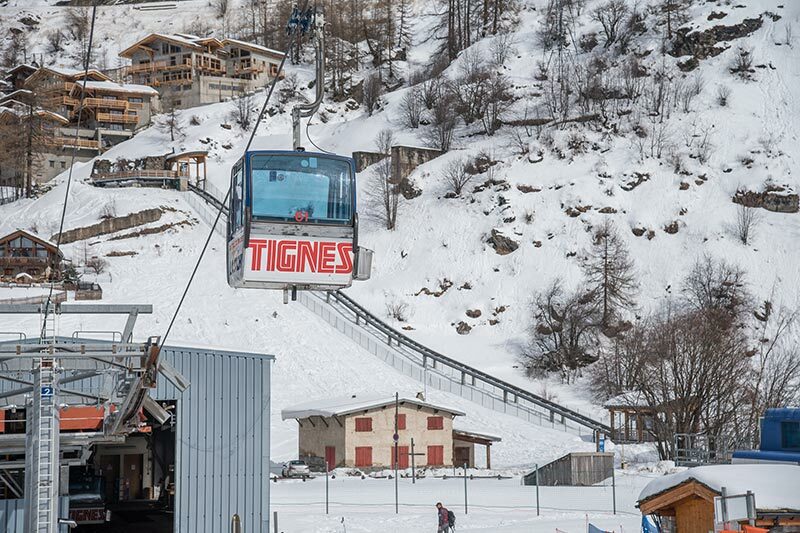 Tignes was originally only two villages, Tignes and Les Brévières, both traditional Savoyarde farming communities dating back to the 13th century. However, much to the horror of Tignardes, in 1946, the French government decided that ‘progress’ was more important than tradition. The famous Dam was built and in April 1952 Old Tignes died under the rising waters, leaving only Les Brevieres intact. Three more Tignes were created; Les Boisses, Le Lac, and Val Claret, spreading up the valley to the base of the Grande Motte. The church was re-constructed in Les Boisses, including the cemetery, which was moved along with its’ “long term inhabitants”. It can be seen from the chalet balcony. 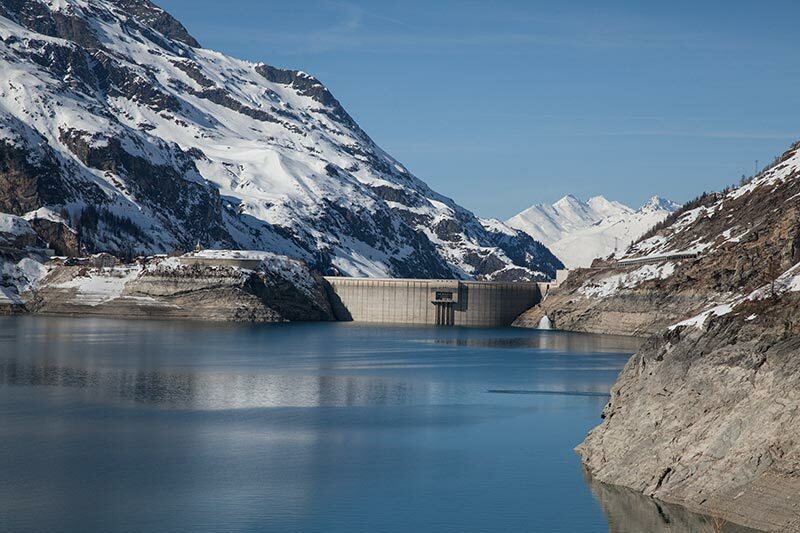 A point of local interest is that every 10 years the dam is drained for maintenance and the ruins of the original Tignes can be seen, providing ex-residents a focus for a regular pilgrimage.